Dr. Ryan and her staff welcome you and value the trust you place in us to take care of all your endocrine and diabetes related health needs. Unlike large, impersonal groups, we strive to be different. We take great pride in being available to our patients and colleagues in the community. Each of us is committed to building a strong relationship with every patient based on mutual respect and open communication. We hope that every treatment plan results from collaboration between an informed and educated patient and a knowledgeable healthcare provider. When you call or visit our office, you will always find our staff to be friendly, caring and helpful. We make every effort to ensure that you are comfortable and able to focus on your health care. Suburban Endocrinology provides expert care for diabetes, thyroid disease, metabolic disorders, changes in hormone production and more. We specialize in the diagnosis and treatment of hormone related (endocrine system) disorders. We combine professional expertise with leading edge technology to deliver compassionate care and improve the lives of people with these conditions. 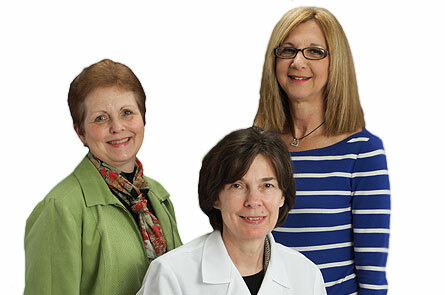 Patients at Suburban Endocrinology have access to a multidisciplinary team - Endocrinologists, Nurse Practitioners, Insulin Pump Trainers and Certified Diabetes Educators. We believe in a comprehensive approach to care. As part of that approach, our services emphasize education and prevention in addition to innovative diagnostics and treatment so you can better manage your illness and enjoy your life. For an appointment or more information please contact our office at: 610.251.0300.